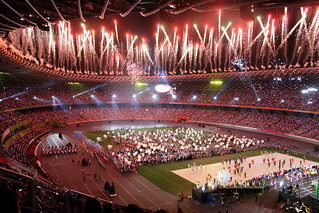 With the choice of Kaohsiung in Chinese Taipei as the Host City for World Games 2009, the Games went for the second time to the Asian continent. Based on experience in the World Games 2011 in Akita, officials involved in the preparation of event expected similar language difficulties in Kaohsiung. However it proved that the younger generation in particular were capable of communicating adequately in English. 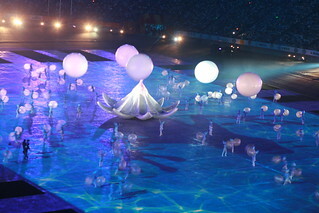 It was also a nice surprise to the athletes when they arrived in Kaohsiung to find that the Organizers had recruited numerous young interpreters who were capable of communicating in English to assist the participants. 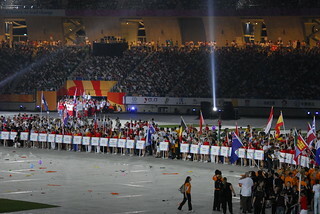 It was in particular the attitude and enthusiasm of the volunteers that made the World Games 2009 a very enjoyable event for the participants. Kaohsiung’s is one of the biggest seaports in the world, and the city of Kaohsiung is likewise very sizeable; sport venues were spread over the whole territory of the city, making transport a major challenge for the organizers. The timely bringing into use of the Kaohsiung Mass Rapid Transport (MRT) certainly helped to solve the transport problems in the huge city. The newly-built National Stadium was the first stadium in the world to provide its power needs by using solar energy technology. 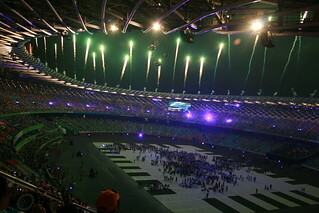 The stadium, shaped like a dragon, was the grand podium for the Opening and Closing Ceremonies with a rich variety of cultural elements. 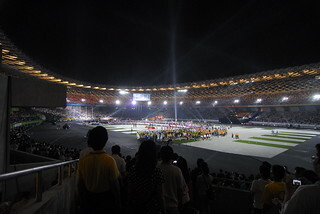 Though not required by the World Games, Kaohsiung constructed the National Stadium, the Arena and the Kaohsiung Mass Rapid Transport (MRT) to be ready before the opening of the World Games; which both helped to make the World Games 2009 a great event. 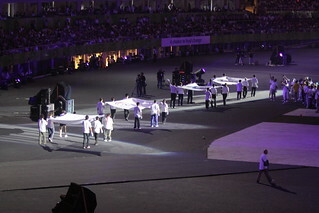 The athletes will remember World Games 2009 in Kaohsiung for its marvellous volunteers, who did everything possible to make the World Games 2009 a success for the competitors and the great crowds of spectators. Kaohsiung is a large city with a population of 2.8 million. Founded at the end of the 17th century as the village Takau, the community has been ruled by a variety of masters; by the Dutch colonists in 1624, then by the Ming Dynasty loyalists in 1662 and later in 1895 by the Japanese. When, in 1945, the Kuomintang administration retreated to Taiwan with two million people and formed the Republic of China, Kaohsiung City had already developed into a major seaport. 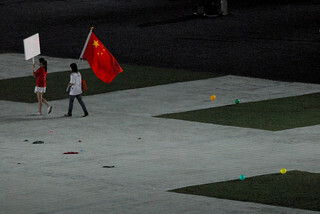 The People´s Republic of China (mainland China) considers Taiwan still as a part of China; hence the Nagano resolution of 1979, where the International Olympic Committee and China agreed to use the name Chinese Taipei in international sports. After 1945, Kaohsiung developed rapidly. Today it is a major international port and industrial city. It has a large natural harbour, of which the entrance has been expanded in recent years. As an exporting centre, Kaohsiung serves the rich agricultural interior of southern Taiwan for the export of rice, sugar and fruits. The Industrial Park on the waterfront includes a steel mill, shipyard, petrochemical complex, and other industries. Kaohsiung has comprehensive sports training facilities, as well as the country's largest stadium. The Kaohsiung National Stadium and Kaohsiung Arena are the largest sports facilities in Kaohsiung; both venues were used in World Games 2009. 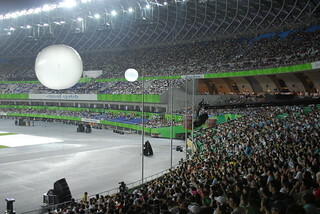 The National Stadium with a capacity of 55,000 seats was used for the Opening and Closing Ceremony of the Games. The most popular sport in Chinese Taipei and in Kaohsiung is baseball. Mr. Chien Ming Wang, a Kaohsiung citizen became a professional baseball player and was pitcher for the New York Yankees. 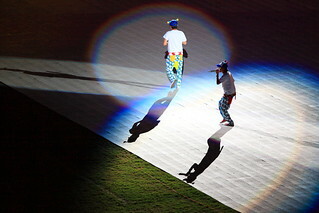 In 2009 he featured in a promotional video for World Games Kaohsiung, acting as a dancer. After The World Games in Duisburg, the IWGA was interested in some continuity in the appearance of the event logos and advised the organizers in Kaohsiung to use a multitude of colours, as had been done in Duisburg. The twirling Chinese character in the Kaohsiung logo uses colours and curves based on the Duisburg design. The logo of the IWGA as well as the Olympic rings with the patronage of the International Olympic Committee is prominent and clearly depicted on the logo. One of the posters used in Kaohsiung exposes the shape of a martial art fighter, displaying the Kaohsiung skyline with both a modern building and the traditional temple buildings. 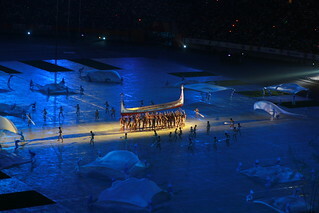 Projected onto the city’s scenery are images of the participating sports. In the footsteps of Akita, the Kaohsiung Organizing Committee created twins as mascots for the event. 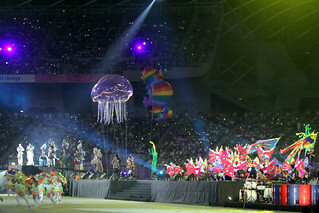 The mascots were also used in the pictograms for the participating sports. Gao Mei and Syong Ge are named after the Host City, Kaohsiung (according to the pronunciation of the name of the City “Gao”-“Syong”). They are intended to personify the City as "a city of the sea and the sun" and to symbolize the "friendliness and hospitality" of the city's residents.